Equality in sports will forever be a fiercely debated topic. 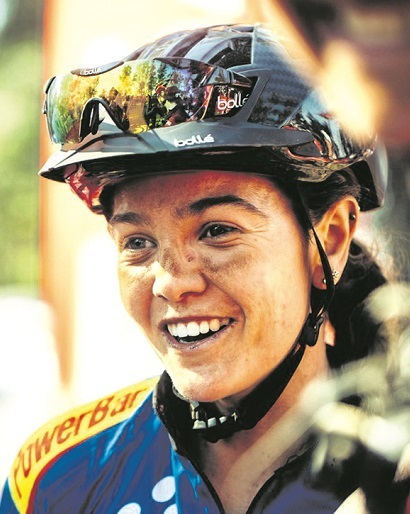 We caught up with some of the country’s very best cyclists to find out where they see the sport heading and what can be done to grow the segment. cycling is maybe not the world’s most important issue, but it’s the one thing I can authentically fight for. Q: Do you think the playing field is equal and why? If referring to the playing field between men and woman, I would say it has improved immensely compared to what it was a few years ago and it’s pretty equal compared to other sports. Ladies have the same opportunities as men to compete at events in their own categories and they have the same opportunities to get sponsorships. Sure, it can always improve but that goes for all ladies’ sport. Q: Would you consider doing more races if the prize money was equal? raising the standard and making it more appealing to sponsors which is more sustainable in the long term. Q: What is the one thing you would want to change to make mountain biking more accessible for women? I’d love to make South Africa a safer place to ride. At this stage safety is probably the biggest stumbling block for biking in general. It is infuriating to have some of the best mountain biking in the world, but our riding is limited by safety. However, the Trail Angels are doing a fantastic job making cycling more accessible to woman, offering safe and sociable ladies’ training groups in and around Cape Town. Q: Do you think more sponsors should get involved to elevate the level of competition within female cycling? It will definitely help to elevate the level of competition. More money means more opportunities, leading to more competition and a higher standard of racing. But to see more sponsorship in ladies’ cycling, I believe it’s a two-way street; we must also do our bit to make it worthwhile for sponsors. Q: Should a national or provincial female specific coaching system (for all ages) be put in place, and do you think something like that would improve the category or discover new talent? It will definitely make a positive difference but again, a big problem is safety. Where will these girls train? School girls have to train indoors during the week as there aren’t any safe opportunities outdoors. Sitting on a trainer is surely not more fun than playing hockey or netball with your friends outside. Certain schools have incorporated cycling as a sporting activity and have a safe cycling training group, allowing kids to go out and train during the week. More schools should follow this initiative. Q: Is enough being done nationally through CSA to promote woman in cycling and grow the sport? 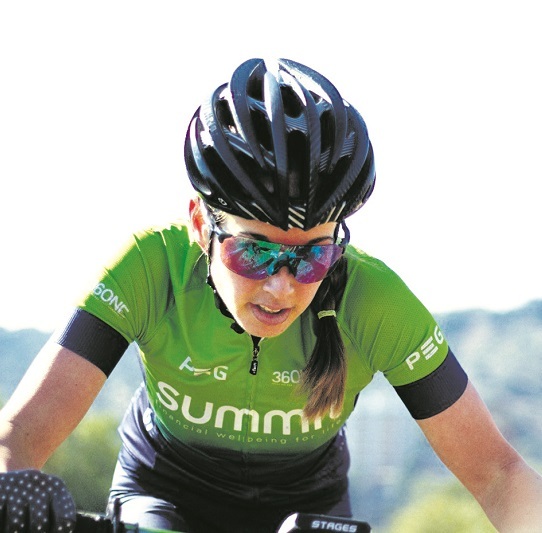 The growth of ladies’ cycling in South Africa is due to passionate individuals, sponsors, events and manufactures all wanting to improve ladies cycling for various reasons. If CSA has played a role at all it hasn’t been very visible. Despite there being less women on the start line, I believe we are at the same level as men. Strong competitors travel abroad and bring their experience to the start line. The pace is set high and so is the bar. It would be amazing to have more women with experience line up, and I believe we are getting there. Every year another fast female breaks through, competing for the top step. Yes 100%. I put just as much work in to be where I am as the men. The same number of training hours, working hours, dedication to my training, nutrition and mental strength. Competing at the top takes the same sacrifice, so our reward should be the same. I have thought about this for so long! SKILLS! I teach intermediate to advanced MTB skills both in groups and one-on-one sessions through my company Cycling Specific. This is the biggest gap women have when it comes to being ABLE to ride. LIV Cycling has the hashtag #ActuallyICan, and I really resonate with that. Paying it forward and helping other women join the sport and feel the reward of achievement is priceless. Yes. Sponsorships definitely help immensely with the costs of competing at a high level. Having a bicycle is first prize, and then having someone to cover transport and accommodation takes a lot of stress away. But it is hard for a sponsor to invest such amounts into an athlete. Will they get the equal exposure back from the athlete? Having a high-performance hub accessible to female cyclists would make a MASSIVE difference. It is extremely costly, but this is where the sponsors could get involved. Currently Science2Sport work with the Sports Science Institute of South Africa in Cape Town providing testing, gyms, wattbikes and coaching for those who can afford it. The only problem for me is I live in Johannesburg. The coaching system can act as a feeder to international racing scenes, which would be incredible … if appropriately funded. 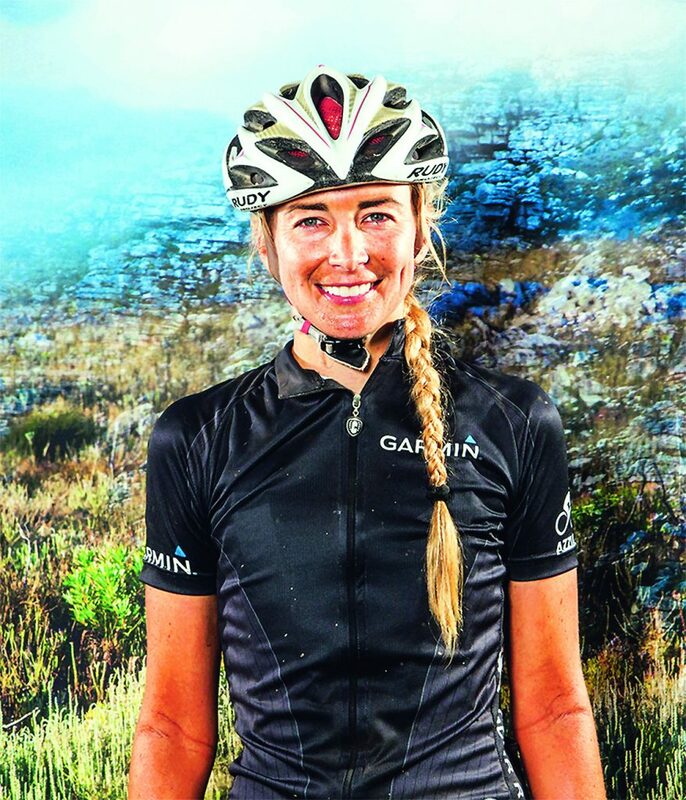 school series has female MTB icon Ariane Lüthi inspiring the youth. The elite pro women have a very special relationship with each other, and we do our best to inspire the upcoming female racers to be the best they can be. But this is all on our own, not with the support of CSA ..
Cyclingnews.com just published an article about some vital facts concerning this in road cycling. 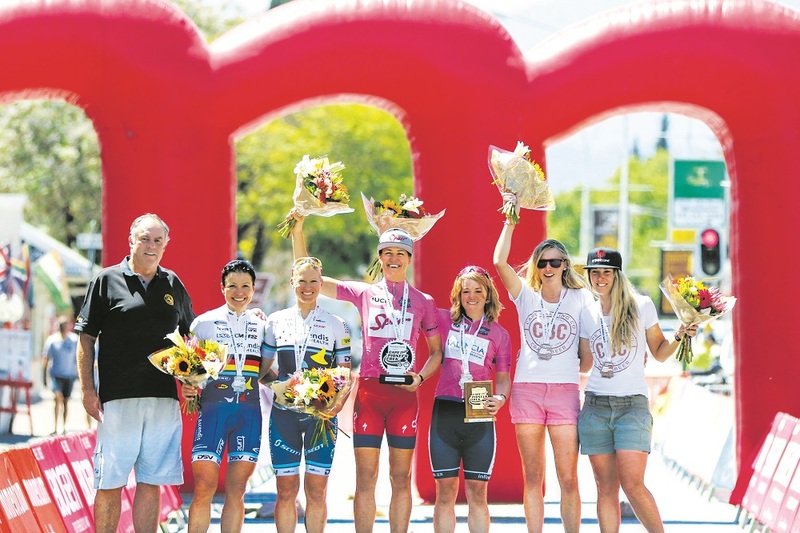 17% of riders in the women’s pro peloton do their job for free, while 50% earns less than €10 000 (ZAR 153 800) per year. By comparison, the minimum wage of a male rider on a Pro Continental team is €30 000 and the minimum wage for a male rider on a World Tour team apparently is €38 000. Only 15 of the 23 Women’s World Tour races got broadcasted live this season, while we can watch all the top-level races of the men. I don’t need to go on to show we are far from an equal playing field, especially in road cycling. Mountain biking is fortunately better, since it’s a younger discipline. Road cycling has been dominated by men for almost a century, so it’s hard to change those long-lived traditions. I can’t really fit more races into my calendar, so no, I wouldn’t do more. But I always try to choose races that offer equal prize money, which has become more and more the norm in mountain biking. biking in particular, the one thing I would like to change is that woman have a separate start and don’t get any interference from another category during the race. South Africa has been pretty good with it, but in Europe we still see a mixed start at most marathons. Firstly, it’s daunting for many women, who are usually smaller than men, to start in a big bunch. Secondly it takes away from the recognition of the woman if they can’t line up separately at the start but stand somewhere hidden in the mass. It’s the only way the woman’s race can really be fair. offering a return on investment to our sponsors. The first step should be more girls’ schools offering mountain biking or cycling as a school sport. In Stellenbosch for example it’s only been the boys school offering cycling to their pupils. Fortunately, that will change soon. I’m sure there could be more. But of course, it’s a question of resources. 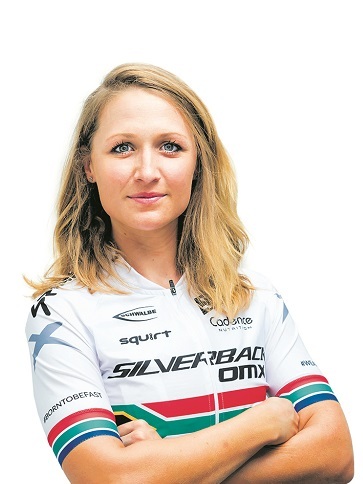 I don’t know how the system works in SA, but in Switzerland a big chunk of Swiss Cycling’s budget comes from Swiss Olympic (SASCOC in SA) and the amount they get depends on how successful the federation is at the Olympic Games. 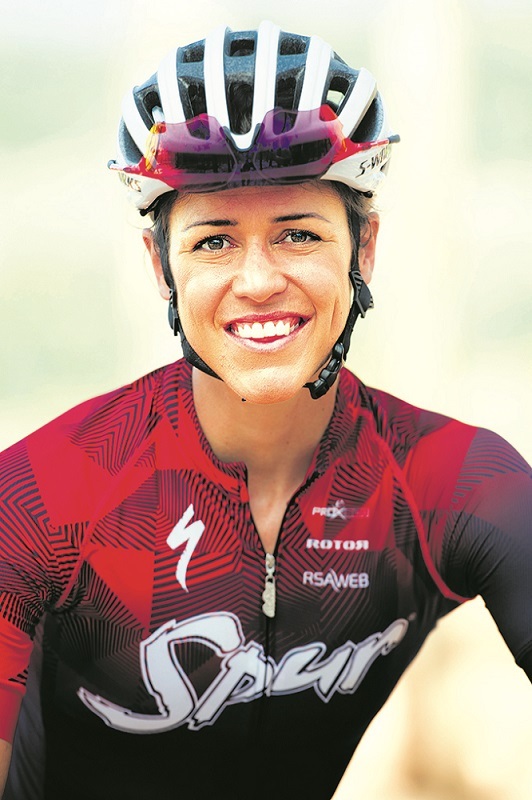 Swiss Cycling has invested a lot into women’s XCO by offering the female riders training camps, skills sessions and taking them to road races or a session on the indoor track etc. That’s one reason for the recent success (the women’s Elite as well as U23 world champions are both from Switzerland). It was really sad to see SASCOC didn’t send any women to Rio. They could have at least sent one. Honestly no, it isn’t equal – although over the years there has been a movement towards improving the women coverage, sponsorships, opportunities, media, and professionalism … it isn’t equal yet, but there’s progress. I think in this day and age men and women should be treated equally and all the above-mentioned aspects should be equally divided or matched between the two. I get drawn to a race due to a combination of factors … some may see I even race where there is no prize money, but yes, prize money is vital for a professional athlete. It ensures you get a strong field at the race, especially where there may be clashes with other races on the same dates. I would like to encourage women to come and race with us … not to be shy and start within men’s batches behind the “Elite ladies’ field”. I think a lot of women are intimidated and too scared to come and join the exclusive women batch. This would be ideal, mostly at school level as this is where I seem to notice a gap. If this was put together and run by the right people, it would help feed youngsters into the Elite category in future. I think at the top end it is very much equal. Even more so in the last few years, which makes me excited. Podium contenders in the women’s race work just as hard and have training regimes very similar to men. Where women’s racing needs to grow is in depth and numbers. To be fair, thanks to some progressive companies and people, I would say that most of the (main) races in South Africa have equal prize money now. This is a huge achievement and ahead of the curve internationally. Mountain biking is what it is. Tough, technical and gruelling. We don’t need to sugar coat it. We just need women to be prepared for it. One solution would be to have more skills-based training available. Women need to equip other women. A tricky question. Of course I would love more sponsors getting involved in female cycling, but you have to look at it from both sides. The sponsor will also want some return on investment. Women need to find out what they can offer besides just racing and OWN it! Sponsors will get excited about that. I think there would be a lot of benefit in females being identified as having talent from a young age and building and investing in them as they go through the ranks. I think the biggest benefit would be starting skill development at a young age, before fear creeps in. This is one of the biggest deterrents for women starting mountain biking. I like the idea of women (of all ages) getting together and learning from/empowering one another. There is not nearly enough of this going on in the mountain bike community. Absolutely not. There are a few sponsors investing in women’s cycling and thereby growing the sport, and this is wonderful. Honestly at the moment I don’t think CSA is doing much to help any South African pro, male or female. I have to say there has been many improvements and efforts to get where we are, and for the most part I am happy to say things are fairly equal. The sport (federations and event organisers) do a good job to ensuring male and females have equal prize money, Exposure received from the media can still improve. Of course, this is a massive bonus and would be some extra incentive but ultimately it is not really why I do what I do. 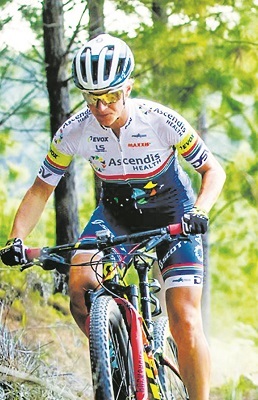 Not to discourage equal prize money … I mean we all have to endure the same gruesome conditions, terrain and training ;). I would actually just love to make our country safer. As a female this is one of my main concerns. I have to admit, I am fairly used to it by now, but it still stays in the back of my mind and is actually one of the reasons I don’t train in Cape Town (Southern Suburbs) alone. I think it would be a great initiative but ultimately sponsors need to see a return on investment, so media coverage needs to be on par as well. I think the best place to start is at school level and I have already seen such a massive impact the school series has made in our sport. Cycling/ mountain biking needs to be a lifestyle and form part of the culture, which is slowly happening. I don’t think this is necessary. This is an individual sport, and everyone has specific needs. Personalised scientific coaching, as found with Science2Sport, will have a far greater impact and be to our benefit. They have definitely put in work to promote woman, but as in all aspects in life we need to carry on pushing the boundaries ourselves. I believe this to be true in our sport as well, not just in promoting female athletes but also promoting cycling/mountain biking in general to ensure future generations have a better platform than we had.